For those of you have followed our blogs, we have banged on many a time about the importance of your immune system for effective tattoo removal. The lymphatic system is what tattoo removal is all about as well, as a great laser to break up those ink particles. Have you ever resisted a fad for a long time only to find out how wonderful it is later? Protein balls, Raw Cacao, Green Tea, Hemp, Coconut Oil, Activated Nuts? Well, we’ve decided to combine all of these ingredients into one amazeball! A ball that helps your immune system, provides important nutrients and is wonderful for skin health, all factors to help the tattoo removal process, as well as being yummy to eat. 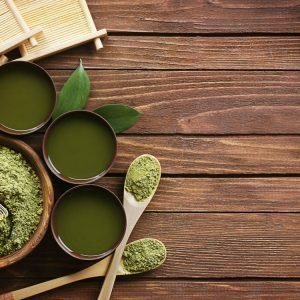 Matcha is any easy way to add important health benefits to your daily diet. It is unique as it is made by shading the leaves of a green tea plant at the end of growing, the leaves are then dried and ground into a very fine powder. This means the leaf is consumed when drinking the tea. It is packed with loads more antioxidants (EGCG- epigallocatechin gallate) than regular green tea, as well as having 60 x more antioxidants than spinach and 7x more than good dark chocolate. Antioxidants protect the entire body, including skin from inflammation. Antioxidants can therefore help even skin tone, reduce acne and improve skin elasticity. The antioxidants within matcha can help boost metabolism, lower cholesterol and lower blood pressure. Preliminary studies have shown that the chlorophyll within green tea can help the body eliminate heavy metals. Matcha has a higher concentration of chlorophyll than standard green tea. The amino acid L-Theanine found in matcha calms the mind and relaxes the body without the drowsiness also increasing alpha brain waves to help with focus and concentration. It provides vitamin C, selenium, chromium, zinc and magnesium. Matcha is an easy and simple way to add powerful health benefits to your everyday diet. Add it to smoothies, drink the tea, or add some manuka honey and create a beautiful anti-inflammatory and anti-bacterial face mask! With 4 times the antioxidants of average dark chocolate and 40 times the antioxidants of blueberries, cacao contains far more antioxidants per 100g than acai and goji berries. Antioxidants are responsible for 10 per cent of the weight of raw cacao. It helps guard against free radicals helping create protection against many conditions. It has the highest plant-based source of iron and full of magnesium for heart and brain health and contains essential fatty acids and important minerals. This simple powder is anything but simple as raw cacao powder contains more than 300 different chemical compounds. It also has more calcium than cow’s milk, as well as being a natural anti-depressant and mood elevator. By cold-pressing unroasted cacao beans, the enzymes in the cacao are kept and the fat (cacao butter) is removed. 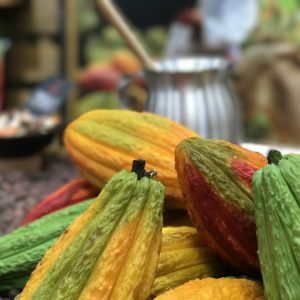 The molecular structure of the cacao bean, is changed when roasting, reducing the enzyme content and lowering the overall nutritional value. If you like hot chocolate, it’s best to mix it with a non-dairy milk, as dairy inhibits the absorption of anti-oxidants from raw cacao. Studies have shown that chocolate affects your emotions and mood by raising serotonin levels, which explains why chocolate is often craved when we are feeling down. Raw Cacao is also found to be beneficial for decreasing insulin resistance, protecting the nervous system, lowering cholesterol and reducing cardiovascular disease. Hemp has been called a plant of major economic importance, growing extremely easily yet can be used in the production of food, personal care products, textiles, paper, and even plastic and clothing. It contains the ideal ratio of Omega-6 and Omega-3 fatty acids, protein (25- 50%) and has 9 essential amino acids, minerals and vitamins. 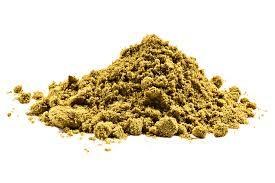 The protein found in hemp is the same protein that the body uses for the immune system! Not only that, it is low in sugar and high in fibre and very easy to digest making you feel fuller for longer and improving digestive tract movement. The heart health amino acid L-Arginine contained within hemp enhances blood flow, maintaining optimal blood pressure. It can even help with PMS , menopause and diabetes. The fatty acids also make it ideal for nervous system protection. Fatty acids are wonderful for skin conditions in the optimal ratio, such as hemp and a lot of skin conditions can be due to fatty acid deficiency. Containing all of the essential amino acids and an amount of protein similar to beef (by weight), hemp is excellent form of plant-based protein. The cardamom spice has been used extensively in Indian and Chinese medicine for generations. 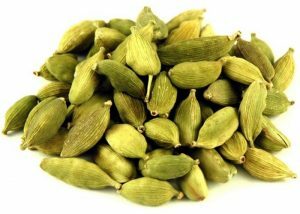 Cardamom was used for its apparent infection-fighting and antimicrobial properties. Oils from cardamom were able to inhibit the growth and spread of some dangerous microbes that cause food poisoning, additionally recent evidence from experiments suggest cardamom has anti-carcinogenic as well as anti-inflammatory properties. 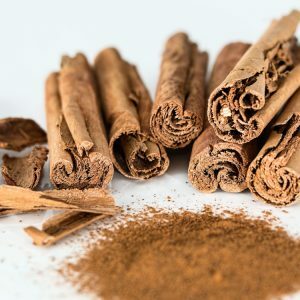 In traditional therapies such as aromatherapy, cardamom has been used to cure symptoms of asthma and bronchitis by improving blood circulation to the lungs. The essential oil extracted from cardamom has been tested in groups of individuals with stress and it was found that cardamom is effective in promoting blood circulation in the body which is particularly helpful for tattoo removal. It’s also been noted for balancing gut flora to optimize digestion. Cardamom is an alkaline spice, making it a natural antidote to acid. As a member of the ginger family, cardamom has been used to make heavy and acidic foods easier to digest for more than 5,000 years. Throughout the Middle East even coffee is brewed with ground cardamom seeds, reducing its acid and neutralizing the stimulating effects of caffeine (plus, it tastes good!). To date, there are over 1,500 studies proving coconut oil to be one of the healthiest foods on the planet. Coconut oil benefits and uses go beyond what most people realize, as coconut oil, made from copra or dried coconut flesh is considered a true superfood. Research has finally uncovered the secrets to this amazing superfood: namely healthy fats called medium-chain fatty acids (MCFAs). These unique fats include caprylic acid and lauric acid. Over 90 percent of the fat in coconut oil is healthy saturated fat making it one of the most beneficial fats. Most of the fats we consume take longer to digest, but MCFAs found in coconut oil provide the perfect source of energy because they only have to go through a minimal process of conversion to fuel versus other fats that have to go through a very extensive process. Unrefined coconut oil is best as it is sent directly to the liver for energy conversion, easing the strain on the pancreas. Triathletes have been using it pre-race as the main energy source. Type 2 Diabetes can also benefit by taking coconut oil letting the pancreas rest. It is not readily stored as fat, it is antiviral, antifungal and antibacterial providing fast energy. Medical research is showing benefits for Alzheimer’s, Heart Disease (increasing good HDL cholesterol) and High Blood Pressure, liver protection, inflammation reduction, cancer (ketone versus glucose use) and gum disease prevention. It can also help improve digestion. Combining it with an omega-3 fatty acid can make it twice as effective. Coconut oil also increases calcium absorption in the gut, helping our bones. 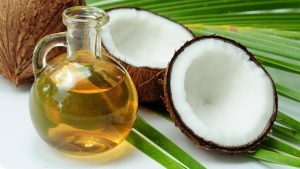 Coconut oil is wonderful for removing makeup , moisturising hair and face, and cleaning the face but also it can treat many skin disorders .The fatty acids (caprylic and lauric) in coconut oil reduce inflammation , making it a great solution for all types of skin conditions, internally and externally. Activated nuts- Soak or Not? Simply, soaking nuts usually for 7-12 hours in salt and water increases the nutrient value of the nuts along with breaking down the phytate compounds that help enhance their digestibility easing stomach discomfort. Unsoaked nuts are still really nutritious. They’re still good sources of healthy fats, vitamins such as vitamin E and B vitamins, fibre and protein. As nuts are already expensive, use what you can. Almonds as used in this recipe, contain monosaturated fatty acids (MUFASs) and antioxidants that work with Vitamin E that nourish the skin for anti-ageing, heal wounds, fight cancer, reduce oxidative stress thereby reducing inflammation. It also helps manage blood sugar, another plus for diabetes. 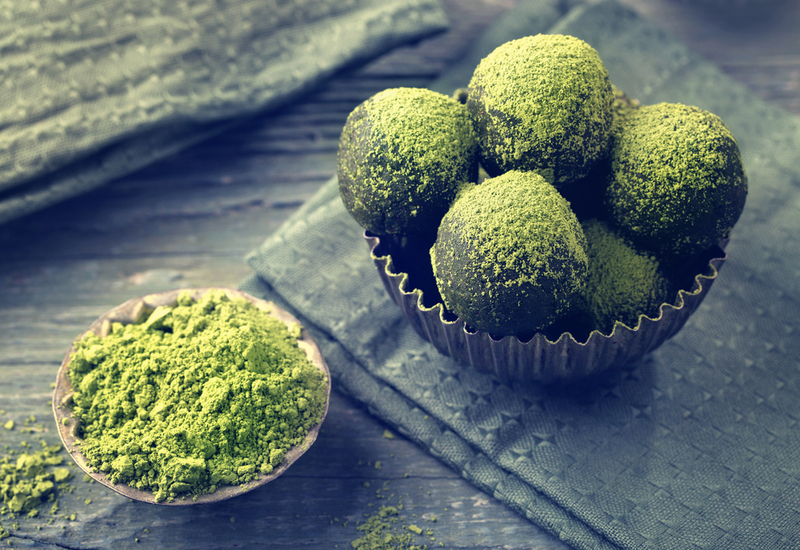 Using a teaspoon, create a ball and roll on baking paper sprinkled with matcha powder then place in the fridge. If too gooey, add more dry, if too dry, add more coconut oil. It should make about 20. Variations: Omit cardamom and add vanilla, put an almond in the middle of the ball, roll in shredded coconut. For those of you not into chocolate, try a cashew variation with grated lemon rind, lemon juice and shredded coconut. Yum! And have fun! Constitutional Facial Acupuncture Coming Soon to Renude Tattoo Removal Gone Wrong: How To Avoid A Tattoo Removal Disaster!